Guaranteed, one of the greatest pacers produced in this country and a winner at Group level from two to five years, has been retired and will join the stallion strength at the Good Time Lodge stud, near Colac, of Ian and Judi Slater. He will stand for an introductory service fee of $1,760 including GST. Guaranteed retires to stud with the credentials of a true champion. During his career Guaranteed raced 46 times, winning 24 with 12 placings for $856,316 in stakes. Had he remained sound there seemed little doubt that he would have topped the seven figure mark. He won on all-sized tracks in three different states, and over distances from 1609 to 3150 metres, beating the best pacers in commission from both sides of the Tasman in age classics through to the Grand Circuit. As a two-year-old Guaranteed won six of his eight starts including the Group 1 $100,000 Vicbred Super Series Final, the Group 2 $50,000 Tatlow Stakes, the Group 3 $40,000 NSW Tatlow Stakes and the Victoria Youthful Stakes. He banked $144,675 in his debut season. At three he was again among the top bracket of his age, winning a further seven races and $169,300 in stakes. Numbered among his successes were the Group 1 $100,000 Vicbred Final, the Group 3 $40,000 Victoria Sires Classic and heats of the Victoria and NSW Derbies. As a four-year-old Guaranteed really came into his own. From 11 starts he won eight times – three at Group level – and was three times placed for $232,538 racing against top horses such as Lennytheshark, Flaming Flutter, Majestic Mach and Border Control. He hoisted his lifetime mark of 1:50.4 at four years, winning the Group 1 $200,000 Chariots Of Fire, as well as the Group 2 $50,000 Paleface Adios Stakes in 1:52 and the Group 2 $50,000 Mount Eden 4YO Championship, all at Menangle. Guaranteed put an exclamation mark on his career when he won the 2014 $60,505 Kilmore Pacing Cup (3150 metres), putting up a new national record of 2:00.3, a record which still stands. 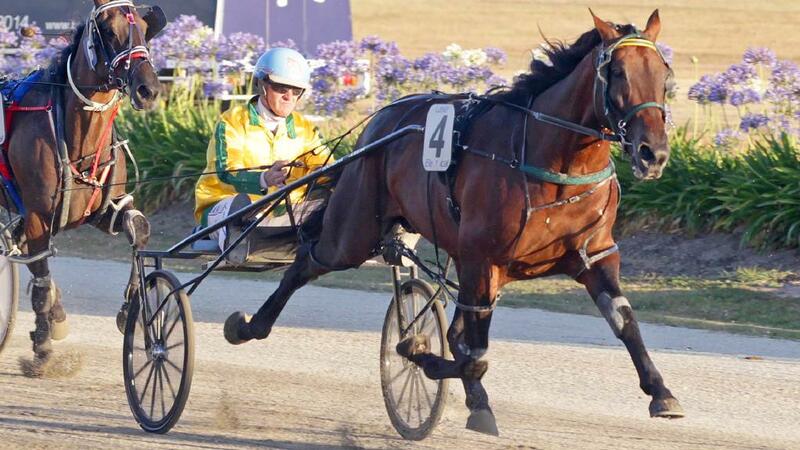 His other major successes as a five-year-old were the $125,000 South Australian Pacing Cup in which he clipped three seconds off the race record, the Group 2 $50,505 City of Melton Plate and the Swan Hill Pacing Cup. A commanding bay horse, foaled in 2009, Guaranteed is the richest and fastest performed son of former world champion Artsplace (1:49.4) outside America and as a representative of the famed Abercrombie sire line his influence promises to be widely exerted. He is also a member of a winning family that has produced top racehorses and leading sires. Jadah Rose, the dam of Guaranteed, was a top flight racemare winning 31 races and $465,000 and taking a record of 1:49.6 in America and at the stud has left three winners for progeny earnings of more than $1.1-million. The second dam, Karamea Toastime, left seven winners, six of whom took records of better than 1:58. This is the family of this season’s Tasmanian Derby winner Scooterwillrev, the winner of 14 of his 18 starts.